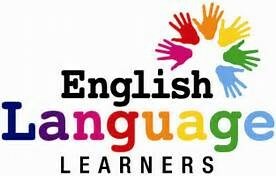 East Valley offers Transitional Bilingual Instructional Programs for our students with diverse cultural backgrounds and unique needs linguistically. Our Mission Statement: English Language Learners (ELLs) will meet state standards and develop English language proficiency in an environment where language and cultural assets are recognized as valuable resources to learning. Dual Language Program (Two-Way Immersion/Two-Way Bilingual Education) - K- 6: "Dual Language Programs" provide integrated language and academic instruction for native English speakers and native speakers of another language with the goals of high academic achievement, first and second language proficiency, and cross-cultural understanding. Sheltered Instruction (SI)/ Content-Based ESL - Middle School/High School: "Sheltered Instruction" is an approach used widely for teaching language and content to English Language Learners (ELLs), particularly as schools prepare students to achieve high academic standards. In SI, academic subjects (such as science, social studies) are taught using English as the medium of instruction. SI is most often used in classes comprised solely of ELLs, although it may be used in classes with both native English speakers and ELLs when necessitated by scheduling consideration or by small numbers of ELLs. Alternative Instructional Program (AIP) - "Alternative Instructional Programs" provide instruction which may include English as a second language and designed to enable the student to achieve competency in English. Alternative instructional programs are support systems provided in English-only or English with primary language support.